CPI Gives You the Boot! College Park Industries, as part of their commitment to excellence, melding revolutionary design, high quality components, and a continuous drive to exceed customer expectations, announces the inclusion of a FREE Sealing Boot with every Trustep®, VentureTM, and TributeTM Foot order. The patented Sealing Boot is available in Caucasian and Negroid natural life-like cosmetic shades to match the CPI Foot Shell. Easily installed over a pylon's open end, the Sealing Boot and Foot Shell interlock providing an effective barrier against contamination. Sealing Boots are manufactured from flexible, pliable foam and can be cut to any size for use as interlocking gaskets in finished legs. Ongoing Is a Perfect Fit! 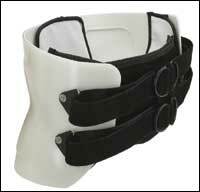 Ongoing Care Solutions offers a complete line of orthotics, including the PERFECT FIT Body Jacket. PERFECT FIT Body Jackets have all the features of standard L.S.O. body jackets and then some. The technically proven design is enhanced by the use of special lightweight polymers, replacing the traditionally heavy hard plastics of old. The special Air-LiteTM liner conforms to the body and disperses pressure to prevent pressure point soreness, which adds virtually no weight to the brace allowing for a more custom fit. The PERFECT FIT Body Jacket is SADMERC approved with code K-0648 and is available in sizes small, medium, large, extra-large, 2XL, and 3XL. 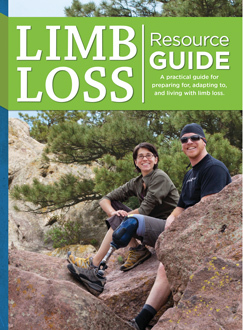 WBC Industries, material supplier to the O&P profession, has a new orthotic and prosthetic catalog and extended product line. By popular demand, WBC Industries offers its new catalog online at www.wbcindustries.com. Visitors to the website can look up information on WBC Industries' extended list of products, check out the Special Offers' page for new discounts and monthly specials, and download the catalog in sections or its entirety. 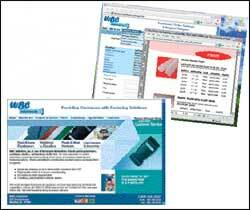 Customers can also request free samples and product information on the Sample/Catalog Request' page. If a customer feels that dial up Internet access may be too slow for viewing or downloading the catalog, WBC Industries will be happy to provide a free print copy to anyone who requests one. Realastic, a division of Health Related Products, offers silicone protective coverings at value-added pricing. All silicone products are made with Realastic's proprietary formulation, producing an extremely durable skin--much more durable than traditional RTV silicones. Realastic covers are offered in 24 colors, sizes ranging from infant to adult, from the Real-Flex glove to a custom partial foot. Ossur presents the newest Iceross Seal-In Liner for people on the go. The Iceross Transfemoral Seal-In Liner, featuring Ossur's patented Hypobaric Sealing Membrane (HSMTM), is ideal for low to moderately active transfemoral amputees who would prefer to simply roll it on, step into the socket, and go, confident that they will enjoy comfortable and secure suspension. Unlike conventional suction sockets, the silicone surface of the Iceross Transfemoral Seal-In Liner may be thoroughly cleaned, improving hygiene and reducing odor. In addition, once the Iceross Transfemoral Seal-In Liner is positioned in the hard socket, the HSM seal and the distal silicone pad actually grip the socket wall, thus enhancing rotational stability and proprioceptive feedback for the user. 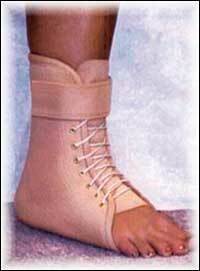 Stretchable construction across the metatarsals conforms to the foot like a glove, adjusting the upper shape to perfectly fit forefoot deformities and swollen feet. Foam-padding along the entire top edge of the shoe provides extra protection. It hugs the foot, enhancing fit and comfort, and eliminates the common "cutting into the foot" phenomenon with Mary Jane shoes. 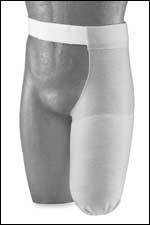 Seamless fabric lining, padded with foam, enhances comfort and protection. Hidden-Depth construction of the sole hides the extra depth of the shoe, for an attractive appearance. Get a Grip from Fillauer! Fillauer has redesigned its Gator Grip Flexible Plunger. This one of a kind robust plunger flexes to find the distal opening. The improved Gator Grip Flexible Plunger is corrosion resistant and has an infinite number of locking positions. Available in three lengths at 1-", 2" and 2-", the Gator Grip Flexible Plunger is specifically designed for Gator Grip Modular Locks. This design is covered by Swedish patent, US patent pending. One of Knit-Rite's most recent innovations, the Compressogrip A/K Prosthetic Shrinker and the traditional B/K Compressogrip Shrinker, are now offered with the advantages of pure silver. Knit-Rite is the first to bring silver's antimicrobial and therapeutic qualities to the O&P community with an entire family of products constructed with X-Static The Silver Fiber, from Noble Fiber Technologies. Long known to kill germs, silver ions bind with bacteria to inhibit infection before it gets started. 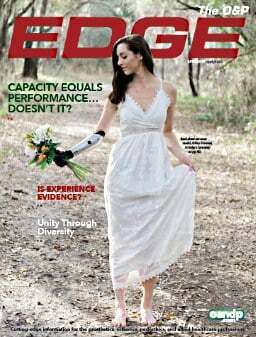 Knit-Rite reports these same advantages in the new line of post-operative X-Static prosthetic shrinker applications. The manufacturer has also received testimonials that the X-Static shrinker has helped patients find relief from phantom pain. 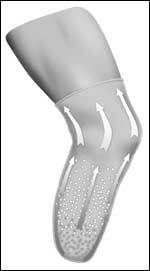 Knit-Rite, the developers of Soft-Sock, the original CoolMax/Lycra prosthetic sock, adds a new version that takes advantage of the unique qualities of pure silver. Effectively smothering' bacteria at the cellular level, silver ions bind with proteins inside and outside of bacterial membranes to inhibit odor and infection before it even begins. Soft-Sock with X-Static still feels soft and cuddly against the skin, and offers unbeatable moisture-wicking and thermodynamic properties. Knit with just enough stretch to provide excellent fitting qualities, fewer sizes fit most regular sock wearers, making Soft-Sock a perennial favorite.